A few days ago I posted to let you know about Revlon’s Beauty Booth, which features tutorials and the chance to win one of Revlon’s must have products. Week 5’s tutorial is now available to view and features a vintage glamour look. 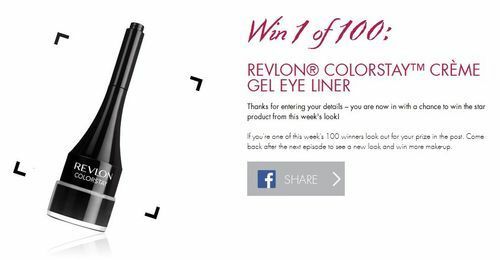 You can also enter your details for a chance to be one of 100 people to win a Colorstay Creme gel eye liner.